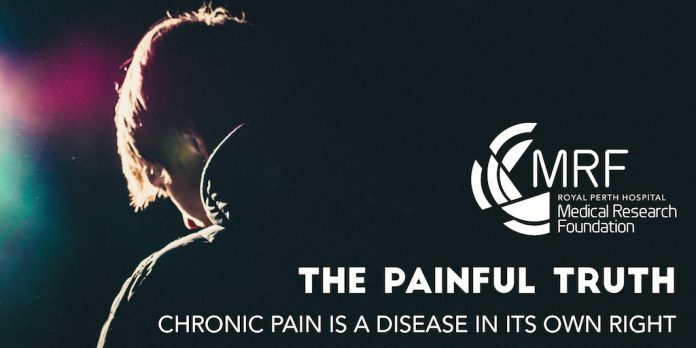 Join globally-renowned pain medicine expert Professor Stephan Schug as he sheds new light on the latest pain management and prevention techniques. Stephan Schug is Professor and Chair of Anaesthesiology and Pain Medicine in the Medical School of the University of Western Australia and Director of Pain Medicine at Royal Perth Hospital. This shocking statistic highlights an under-recognised scourge on our society, yet there are no proven drug therapies to prevent it. Other reasons for this life-sapping condition may also include: Rheumatoid arthritis or osteoarthritis, irritable bowel syndrome, fibromyalgia, diabetic neuropathy, musculoskeletal problems, trauma, endometriosis and even shingles. Find out more at Professor Schug’s FREE public health talk, which is proudly being brought to you by the RPH Medical Research Foundation. Phone 9224 3494 or email sandra.peterson@health.wa.gov.au for more information. *According to the International Association for the Study of Pain.